We are ready for day three of a jewelry box making class at ESSA, and we have a long day ahead of us, making dividers, fitting hinges, completing the drawers, attaching bases, and applying finish. Yesterday we cut the lids from the bodies of the boxes so you can actually open them. 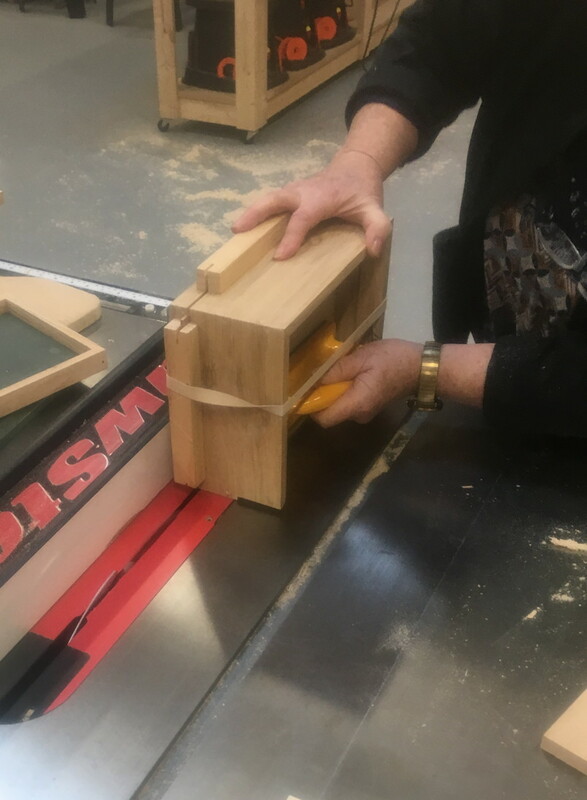 I had about twenty folks during a rainstorm yesterday watch my demonstrations on cutting miters and cutting the lid off a box. The photo shows one of my students cutting the lid from her box. Make, fix and create... Assist others in growing likewise. should Kindergartens be readied for kids? building a culture of the arts. it's not done til it's pretty.